Approximately 800,000 people have a stroke each year. A Stroke happens every 40 seconds. stroke is the fifth leading cause of death in the U.S.
Every 4 mins people dies from stroke. Stroke is the leading cause of adult disability in the U.S. Symptoms of Stroke : There are some symptoms of stroke are given below you can read these symptoms it will help you to find that you have stroke or not..
Identify : Review the risk factors and identify your personal risk. Reduce your risk factors : Work to reduce your stroke risk through lifestyle changes and take medicine if necessary. Recognize and Respond : Learn to recognize the signs and symptoms of a stroke by memorizing FAST. Respond to the first sight of stroke and help save lives. Treatment Of Stroke : If you are a stroke patient then it is very important for you to get immediate medical treatment call 9-1-1. To get sooner treatment you have of stroke is better, immediate treatment may help to reduce your the long-term effects of Stroke. 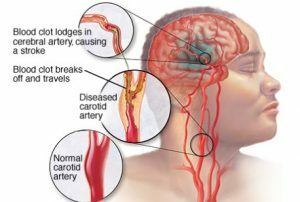 Drug Treatment : If you are having an ischemic stroke or a stroke that is caused by a blood clot your healthcare professional may recommend to you drug treatment. Book health appointments in seconds. Get the Full details of Health Specialist in Dehradun City. Want to Know Hair Transplant Cost in Dehradun?